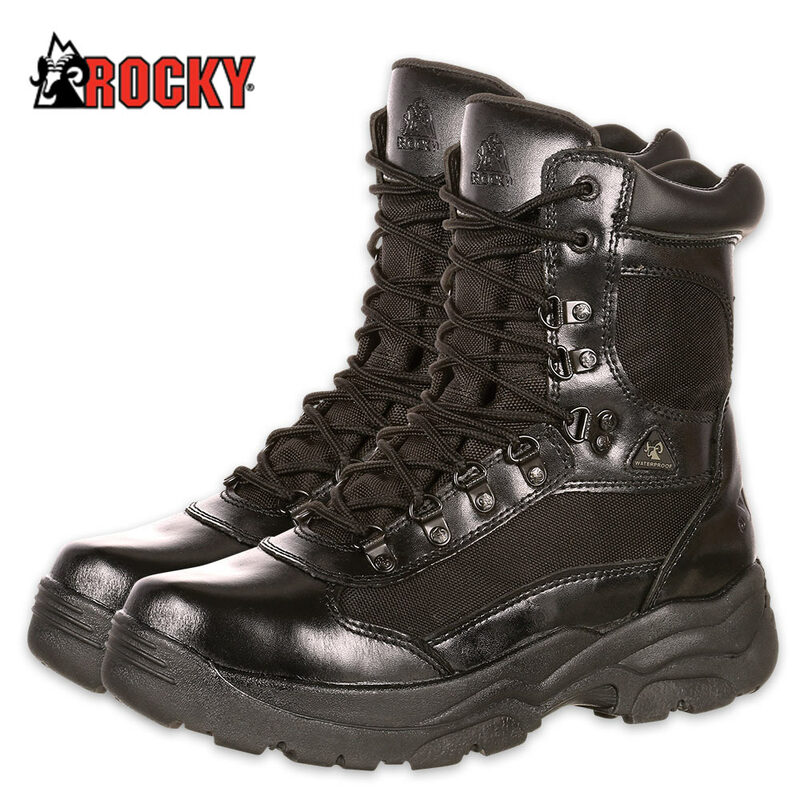 Rocky Fort Hood Waterproof Duty Boot | BUDK.com - Knives & Swords At The Lowest Prices! When you have a mission to complete, your choice of footwear cannot stand in your way! You need to wear the best to perform the best. 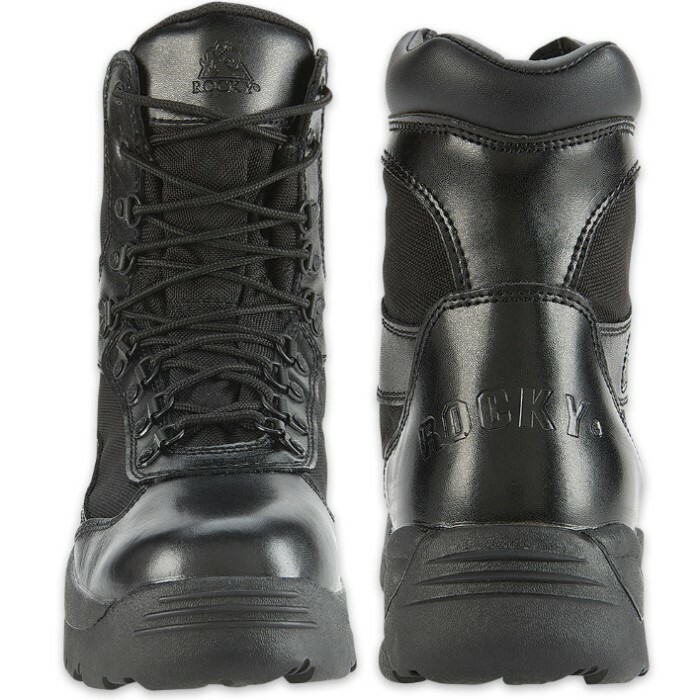 The Rocky Fort Hood Waterproof Duty Boot, designed and built by the world leader in active footwear, can be worn throughout the warmer months because it is non-insulated. It was built with a full-grain leather upper and heavy-duty 1,000 Denier nylon that makes keeping it clean effortless. The black leather is polishable, and dirt can be rubbed off of the nylon with a wet towel. Because it has been built with Rocky Waterproof construction, your feet are guaranteed to remain dry. A non-metallic stabilizer ensures that you have steady footing and it will not set off or have an impact on any machinery. 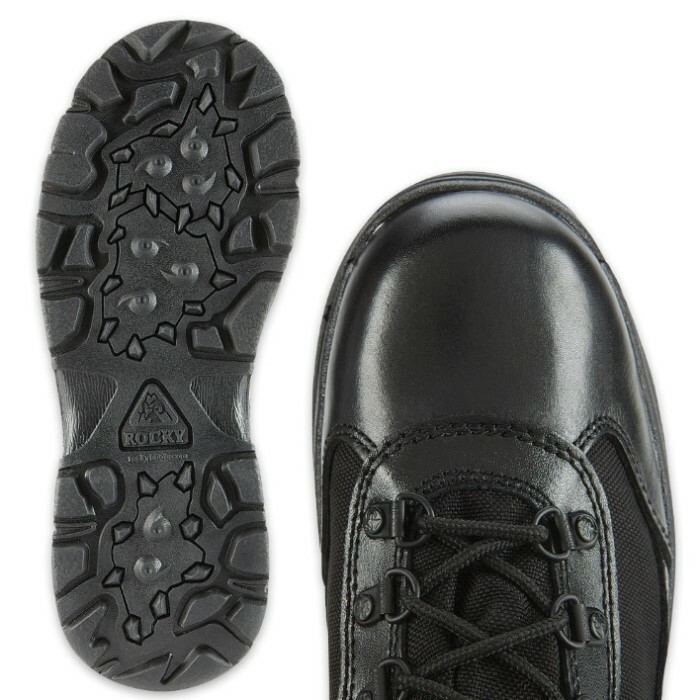 The rubber SWAT outsole brings forth exceptional traction. It comes in sizes 8, 9, 10, 11 and 12.